William Gruber Jr. was born circa 1935 at Wisconsin. He was the son of William J. Gruber and Christine Meixelsperger. Floyd Gruber was born circa August 1939 at Wisconsin. Gerald Alt was born circa 1936 at Wisconsin. He was the son of Anthony G. Alt and Alma Mary Brechtl. Married Name Her married name was Layton. Name Variation Marian Blau was also known as Marion. Marian Blau married (?) Layton. Marian Blau was born circa 1918 at Wisconsin. She was the daughter of Joseph Michael Blau and Catherine Alt. Marian Blau died before May 2009. Name Variation Katherine Blau was also known as Catherine. Married Name 27 February 1946 As of 27 February 1946,her married name was Hausner. Katherine Blau was born circa 1921 at Wisconsin. Katherine Blau married Anthony J. Hausner, son of Michael Hausner and Barbara Roth, on 27 February 1946. Daniel Blau was born circa 1928 at Wisconsin. He was the son of Joseph Michael Blau and Catherine Alt. Daniel Blau died before May 2009. Name Variation Gerald A. Blau was also known as Jerry. Gerald A. Blau was born on 5 June 1933 at Wisconsin. 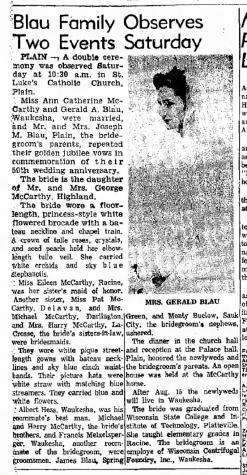 Gerald A. Blau married Ann Catherine McCarthy, daughter of George M. McCarthy and Della C. Imhoff, on 5 August 1961. Gerald A. Blau died on 31 March 1982 at age 48. Married Name before 1940 As of before 1940,her married name was Paulus. Inis (?) was born circa 1920. She married Herman Paulus, son of Albert J. Paulus and Caroline Haas, before 1940. Married Name 6 October 1954 As of 6 October 1954,her married name was Honer. Doris M. Neuheisel was born on 30 May 1934 at Plain, Sauk, Wisconsin. She was the daughter of Anton Neuheisel and Emma Theresa Ederer. Doris M. Neuheisel married Michael K. Honer, son of Otto John Honer and Catherine Elizabeth Killoy, on 6 October 1954. Doris M. Neuheisel died on 20 March 2016 at age 81 Doris M. Honer, age 81 of Richland Center, formerly of Cazenovia passed away after a courageous battle with leukemia on March 20, 2016. Doris was born on May 30, 1934 in Plain, WI the daughter of Tony and Emma (Ederer) Neuheisel. She graduated from St. Luke’s High School in 1952. She married Michael K. Honer on October 6, 1954 at St. Luke’s Catholic Church, Plain, WI. Doris and Michael farmed the Honer farm at Ithaca for six years prior to moving to a farm in the Cazenovia area. Besides the work of farm life, Doris worked many years in the Housekeeping Dept. of the Reedsburg Hospital. She loved to clean, cook and bake for family and friends. Spending time with her grandchildren was a special treasure for her. She was a member of St. Anthony’s Catholic Church, Cazenovia and St. Mary’s Catholic Church, Richland Center. Her membership in St. Anne’s Altar Society and St. Anthony’s Choir was very important to her. Doris was preceded in death by her parents, her husband of 60 years, Michael K. Honer, Sister, Lucy Ederer, and brothers-in-law; Don Nieman, Charles Ederer and Tom Honer. A Mass of Christian Burial will be held on Tuesday, March 29, 2016 at 11:00 A.M. in St. Anthony’s Catholic Church, Cazenovia with Fr. Wesley Janowski officiating. Visitation will be held on Monday at the Cazenovia Chapel from 4-7 P.M. with a Rosary being prayed at 4P.M. and then again on Tuesday from 10 A.M. until the time of service at the church. Burial will be made in St. Anthony’s Cemetery. The family requests memorials of remembrance be made to St. Anthony’s Catholic Church. The Farber Funeral Home is assisting the family with the arrangements. [S373] U.S. Federal Census 1940 U.S. Federal Census, by Ancestry.com, Year: 1940; Census Place: Franklin, Sauk, Wisconsin; Roll: T627_4523; Page: 13B; Enumeration District: 56-14. Married Name 17 September 1960 As of 17 September 1960,her married name was Meixelsperger. Helen Marie Blau was born on 6 April 1941 at Sauk, Wisconsin. She was the daughter of Edward J. Blau and Agnes F. Gruber. Helen Marie Blau died on 26 March 2011 at Wisconsin at age 69 Helen Marie Meixelsperger, age 69, of Lone Rock, passed away peacefully on Saturday, March 26, 2011, at home following a courageous battle with cancer. She was born on April 6, 1941, in Spring Green, the daughter of Edward and Agnes (Gruber) Blau. Helen was raised in the Spring Green area and graduated from the Spring Green High School. She worked side by side with her husband, Ed in their cheese factory business known as the Penn Hollow Cheese Factory for more than 30 years as the book keeper and partner. Recently she worked at Lands' End in the monogram department for more than 20 years. Helen was married on Sept. 17, 1960 to Ed Meixelsperger celebrating their 50th wedding anniversary last September. Survivors include her husband, Ed Meixelsperger of Lone Rock, and will forever be remembered by her beloved children, Nancy (Jay) Gavin, Jeff (Tammy) Meixelsperger, Kim (Andrew) Jorgensen and Kathy (Dan) Zweifel, treasured grandchildren, Hannah Gavin, Nicole, Heather and Paige Meixelsperger, Megan White, Alathea Jorgensen and Haley Zweifel, three great-grandchildren, three sisters, Carol Porter, Virginia Meise and Patricia Miller; a brother, James Blau, along with caring in-laws and countless other friends and family whom were blessed to know her. Helen loved following the Milwaukee Brewers, Green Bay Packers and the Milwaukee Bucks sports teams. She was an avid fan and spent endless hours watching and cheering on her favorite teams. She enjoyed her outings to Miller Park to see her favorite Milwaukee Brewers players and would enjoy rooting the team on to victory. She loved laughing, being with her family and having fun with friends. Her love of plants and gardening were also evident. Helen touched the lives of many people with her smile and generosity and maintained her caring ways all the way to the end. A Mass in Helen's memory will be held on Wednesday, March 30, 2011, at 11 a.m. at ST. JOHN'S CATHOLIC CHURCH in Spring Green. Father Mike Resop will officiate with burial in the church cemetery. Visitation will be held on Tuesday, March 29, 2011, from 4 p.m. until 8 p.m. at the RICHARDSON-STAFFORD FUNERAL HOME and on Thursday at the church from 10 a.m. until the time of Mass. Memorials may be made to have Mass said in Helen's memory. Name Variation Jeffrey Gerard Meixelsperger was also known as Jeff. Jeffrey Gerard Meixelsperger was born on 26 April 1963 at Richland, Wisconsin. He was the son of Helen Marie Blau. Jeffrey Gerard Meixelsperger died on 25 February 2017 at age 53 Jeffrey “Jeff” G. Meixelsperger, age 53, of Richland Center, died Saturday, February 25, 2017 at the Richland Hospital. He was born on April 26, 1963 the son of Edwin & Helen (Blau) Meixelsperger. Jeff graduated from River Valley High School in 1981. He worked alongside his father as a cheese maker in his younger years and later worked for Cardinal Glass. On January 17, 1997 he married Tammy Ellen Anderson in Richland Center. He enjoyed the Green Bay Packers and fantasy football. He had a deep love for his 4 daughters. Survivors include his wife Tammy Meixelsperger of Richland Center; 4 daughters, Paige Meixelsperger at home of Richland Center, Megan (Austin) VonBehren of Lone Rock, Heather (Kyle) Dickey of Ithaca, Nicole (John) Burch of Richland Center; 6 grandchildren, Caidin, McKenna, and Kynzlie VonBehren of Lone Rock, Brooklyn and Emelia Dickey of Ithaca, Sa’Ryah Burch of Richland Center; his father, Edwin Meixelsperger of Lone Rock; 3 sisters, Nancy (Jay) Gavin of Reedsburg, Kim (Andrew) Jorgensen of Portage, Kathy (Dan) Zweifel of Mt. Horeb; 3 nieces, Hanna Gavin, Haley Zweifel, Alathea Jorgensen; other relatives and friends. He is preceded in death by his mother, Helen Meixelsperger. A Celebration of Life Service will be held at Noon on Thursday, March 2, 2017 at the Clary Memorial Funeral Home in Richland Center with Ron Fruit officiating. Friends may call on Thursday, March 2, 2017 from 9:00 AM until the time of services at Noon. Married Name 4 July 1963 As of 4 July 1963,her married name was Meise. Virginia L. Blau was born on 30 November 1944. Virginia L. Blau died on 26 March 2017 at age 72 Virginia L. Meise age 72 of Plain passed away on Sunday, March 26, 2017 at her home surrounded by her family following a courageous health journey. She was born on November 30, 1944 in Spring Green, WI the daughter of Edward and Agnes (Gruber) Blau. She was married on July 4, 1963 to Duane Meise and they were married 53 years. Virginia was a member of St. Luke’s Catholic Church in Plain and the Plain American Legion Auxiliary. She loved to gamble and was an avid fan of the Green Bay Packers, the UW Wisconsin Badgers and the Milwaukee Brewers. She was a devoted wife, mother, grandmother, homemaker and waitressed at the Palace Bar for 28 years. Virginia was always putting others before herself. Survivors include, her husband, Duane Meise of Plain, 3 children, Dan (Anna) Meise of Sauk City, Lori (Brian) Pulvermacher of Plain, LeAnn (George) Klaetsch of Verona, 6 grandchildren, Devan and Ava Meise, Courtney and Brittney Pulvermacher, Isabella Cross and Addison Klaetsch, 2 sisters, Carol (Tom) Porter and Patti (Norm) Miller, a sister-in-law, Audrey Blau, a special aunt, Helen Jax, nieces, nephews, cousins, other relatives and friends. She was preceded in death by her parents, Edward and Agnes Blau, a sister, Helen Meixelsperger, a brother, Jim Blau and 2 nephews, Todd Blau and Jeff Meixelsperger. A Mass in memory of Virginia will be held on Friday, March 31, 2017 at 11:00 A.M. at St. Luke’s Catholic Church in Plain with burial in the church cemetery. Visitation will be held on Thursday, March 30, 2017 at St. Luke’s Catholic Church from 5:00 P.M.-8:00 P.M. and again on Friday from 10:00 A.M. until the time of Mass. Name Variation James E. Blau was also known as Jim. James E. Blau was born on 4 June 1946 at Sauk, Wisconsin. He was the son of Edward J. Blau and Agnes F. Gruber. James E. Blau witnessed the marriage of Ann Catherine McCarthy and Gerald A. Blau on 5 August 1961. James E. Blau died on 12 April 2015 at age 68 Jim, age 68, of Spring Green, WI, died Sunday night, April 12, 2015 at St. Mary’s Hospital surrounded by his family. Born June 4, 1946, in Spring Green, WI, he was the son of the late Edward and Agnes (Gruber) Blau. Jim is survived by his loving wife of 44 years Audrey (Bauer) Blau; his two daughters Sheila (Eric) Williams of Glen Ellyn, IL; and Sara (Troy) Anderson of Brooklyn Park, MN. Jim has four grandchildren who meant the world to him: Zach & Anne Williams and Blake & Ashley Anderson. Jim also leaves behind three wonderful sisters: Carol (Tom) Porter, Virginia (Dewey) Meise, Patti (Norm) Miller and a very special aunt, Helen Jax. Jim will be missed by so many aunts, cousins, nieces, nephews and friends. He was a devoted and dedicated man in everything he did. He was employed by Pecks Feed Inc. for 51 years. Jim served as the Clerk for the Town of Spring Green for the last 22 years. He was very active in St. John’s parish by serving as chairman of the school’s funfest raffle for 30 years. He served on the parish council and was a member of the Knights of Columbus. Jim had a green thumb and so loved his flowers. He was very proud of his hosta gardens and there was always a bright splash of color in his yard. Jim was always ready to lend a hand or help someone in need always thinking of others before himself. He was a true asset to the church and community. Jim was an avid UW Wisconsin Badger, Green Bay Packer and Milwaukee Brewer Fan. He was preceded in death by his son Todd James; his parents, Edward & Agnes; his sister, Helen Meixelsperger; his in-laws, Norbert & Rita Bauer and many aunts, uncles, cousins and friends. A Mass of Christian Burial will be held on Thursday, April 16, 2015 at 11:00A.M. at St. John’s Catholic Church in Spring Green. Fr. Mike Resop will officiate with burial in the church cemetery. Visitation will be held on Wednesday, April 15, 2015 from 4:00 P.M.-8:00 P.M. at St. John’s Catholic Church where a Knights of Columbus Rosary will be recited at 8:00 P.M. Visitation will also be held at the church on Thursday from 9:30 A.M. until the time of Mass. The Richardson-Stafford Funeral Home in Spring Green is assisting the family with the arrangements. Name Variation Gaelyn Walter Schuette was also known as Gallyn. Gaelyn Walter Schuette was born on 31 October 1935 at Reedsburg, Sauk, Wisconsin. He was the son of Walter C. Schuette and Rosina D. Baldner. Gaelyn Walter Schuette died on 8 April 2018 at age 82 Gaelyn Walter Schuette, 82, of Wisconsin Dells, passed away Sunday, April 8, 2018, at his residence in Wisconsin Dells, surrounded by his loving family. Gaelyn was born Oct. 31, 1935, in Reedsburg, the son of Walter and Rosina (Baldner) Schuette. He was baptised Nov. 24, 1935, and was confirmed April 10, 1949, at St. Peter’s Lutheran Church. He attended grade school at St. Peter’s Lutheran School and graduated from Webb High School in 1953, both in Reedsburg. After high school, Gaelyn began his 46-year career at Hankscraft/Gerber Products Company as a set up man on the motor line, promoted to lead man, foreman, general foreman, plant superintendent, plant manager, logistics manager, and director of manufacturing baby care before retiring in 2000. Gaelyn had a strong focus on plant safety, serving for many years on the board of directors, including as president of the Four City Safety Council as well as serving as chairman of the Reedsburg United Fund Industrial Division. Gaelyn completed his coursework in mechanical drafting and engineering, as well as business and management at Chicago Technical College and the University of Wisconsin. Gaelyn also served in the 32nd Division 1st Squadron 105th Cavalry Armored Division of the Army National Guard of Wisconsin with a rank of staff sergeant for six years, including 28 months of active duty, and was called up during the Berlin Crisis. He earned numerous awards and decorations, especially for marksmanship, and was honorably discharged in 1964. Gaelyn married Darlene Nickel on June 30, 1962, at Trinity Lutheran Church in Wisconsin Dells, and they have been happily married for 55 years. Gaelyn was a very active member of Trinity Lutheran Church and school over the years ushering, serving on the board of elders, and also many years on the board of education. After retirement, Gaelyn continued to stay busy enjoying gardening, ice fishing, grilling outdoors, riding his four wheeler, watching sporting events, working on his photo albums and stamp collection, traveling with his family, attending his grandchildren’s activities, volunteering with community events through the Wisconsin Dells Visitor and Convention Bureau, and during the summer months was a ticket agent for the Wisconsin Ducks and also for the last ten years with the Dells Army Ducks. Gaelyn was a loving and caring husband and father, a good provider, and possessed a very strong work ethic. Gaelyn is survived by his loving wife Darlene; sons, Tim of Portage, and Darrin (Tiffany) of Kiel; grandchildren, Alex, Anna, and William; sister, Janice (Paul) Plachetka of Reedsburg; many cousins; and numerous friends. Gaelyn touched the lives of many people during his life, and will be deeply and sadly missed by all who knew him, especially his loving family. We love you dad. Funeral services will be held at 11 a.m. Friday, April 13, 2018, at Trinity Lutheran Church, 728 Church St., Wisconsin Dells, with Reverend Matthew Gehrke officiating. Burial will follow at the Spring Grove Cemetery, Wisconsin Dells, with military honors provided by the Harold B. Larkin American Legion Post 187 of Wisconsin Dells. Visitation will be held from 4-7 p.m. Thursday, April 12, and from 10-11 a.m. Friday, April 13, at Trinity Lutheran Church. The Picha Funeral Home of Wisconsin Dells assisted the family with arrangements. Gaelyn Walter Schuette graduated in 1953 at Reedsburg High School, Reedsburg, Sauk, Wisconsin. [S373] U.S. Federal Census 1940 U.S. Federal Census, by Ancestry.com, Year: 1940; Census Place: Reedsburg, Sauk, Wisconsin; Roll: m-t0627-04523; Page: 4B; Enumeration District: 56-32A. William F. Meyer was born circa 1879 at Germany. He married Hilda Sorge before 1920. William F. Meyer died after 1940. Married Name before 1920 As of before 1920,her married name was Meyer. Hilda Sorge was born on 12 April 1889 at Sauk, Wisconsin. She married William F. Meyer before 1920. Hilda Sorge died on 22 May 1971 at Dane, Wisconsin, at age 82. Married Name before 1935 As of before 1935,her married name was Gehrke. Katherine M. Hanson was born on 26 February 1915 at Wisconsin. 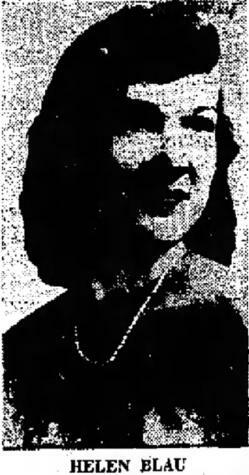 She married Harold August Carl Gehrke, son of Albert J. Gehrke and Bertha Klitzke, before 1935. Katherine M. Hanson died on 25 October 1996 at Sauk, Wisconsin, at age 81. Harold Dean Gehrke Jr. was born on 2 April 1935 at Reedsburg, Sauk, Wisconsin. He was the son of Harold August Carl Gehrke and Katherine M. Hanson. Harold Dean Gehrke Jr. was baptized on 12 May 1935 at St John Lutheran Church, Reedsburg, Sauk, Wisconsin. He died on 5 June 1994 at age 59. He was buried after 5 June 1994 at Green Wood Cemetery, Reedsburg, Sauk, Wisconsin. Harold Dean Gehrke Jr. graduated in 1953 at Reedsburg High School, Reedsburg, Sauk, Wisconsin. Married Name before 1933 As of before 1933,her married name was VanNatta. Reoa A. (?) was born circa 1914 at Wisconsin. She married Donald VanNatta, son of Thomas Silas VanNatta and Edith Jennie Crappe, before 1933. Kenneth Wadsworth was born circa 1918 at Michigan. He married Edna VanNatta, daughter of Clarence VanNatta and Elizabeth M. Wilson, before 1940. Married Name before 1939 As of before 1939,her married name was VanNatta. Married Name after 1952 As of after 1952,her married name was Adickes. Margaret Stark was born circa 1919 at Wisconsin. She married Frank Leo VanNatta, son of Philip Henry VanNatta and Margaret Anna Berg, before 1939. Margaret Stark married (?) Adickes after 1952. Margaret Stark died after 2008. 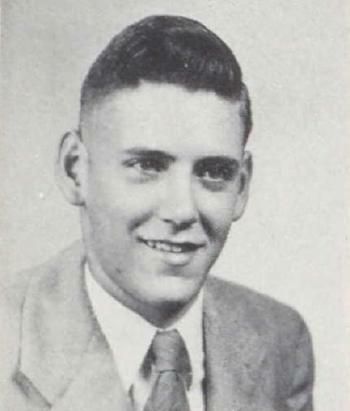 Donald VanNatta was born circa 1921 at Wisconsin. He was the son of William McKinley VanNatta and Ethel L. Doeltz. Donald VanNatta died before 2017. Marion VanNatta was born circa 1926 at Wisconsin. She was the daughter of William McKinley VanNatta and Ethel L. Doeltz. Marion VanNatta died before 2017. Clifford George VanNatta was born on 2 May 1928 at Wisconsin. 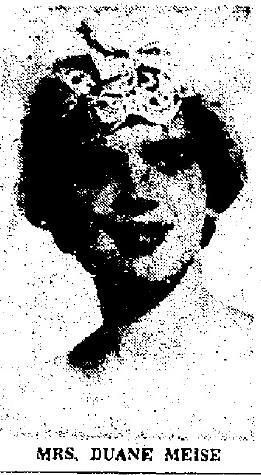 Clifford George VanNatta married Marion Linden, daughter of John P. Linden and Lelia Corlett, on 22 June 1950. Clifford George VanNatta died on 21 March 2017 at age 88 Clifford George Van Natta, age 88, passed away peacefully on March 21, 2017, at Epione Pavilion in Cuba City, WI. Mass of Christian Burial will be 10:30 a.m. Monday, March 27, 2017 at St. Mary’s Catholic Church, Platteville. Burial will be at Calvary Cemetery, Platteville, where military rites will be accorded by VFW Post #5274 and American Legion Post #42. Friends may call from 1:00 – 4:00 p.m. Sunday, March 26, 2017 at the Melby Funeral Home & Crematory, Platteville, or from 9:30 a.m. until the time of service on Monday at the church. Memorials may be made to the Clifford G. VanNatta Memorial Fund. Online condolences may be made at www.melbyfh.com. Cliff was born on May 2, 1928, in Platteville, WI, the son of William and Ethel Doelz Van Natta. He graduated from Platteville High School in 1946, and married Marion Linden, his high school sweetheart, on June 22, 1950. Cliff is survived by his brother, Glen of Lancaster, WI, son, Robert (Marcia) Van Natta of Westfield, WI, daughter, Catherine (John) Jones of Jasper, IN, and daughter-in-law, Heather Van Natta of Madison, WI; five grandchildren, Jessi (Cody) Ebben of Minnetonka, MN, Amy (Justin) Weishaar of Westfield, WI and Carolyn, Emily and Zachary Jones of Jasper, IN; sister-in-law Elaine Linden Pokrandt of Oshkosh, WI; many nieces and nephews, other relatives and friends. He was preceded in death by his wife, Marion, on July 11, 2009, and his son, David, on December 11, 2011; also brothers Maynard, Leonard, Donald and sisters Lela, Fern, Marion, and Alice. Cliff served in the U.S. Army from 1952-1954, stationed in Germany. While there, he played on the Army’s Red Legs football team and met lifelong friends, Earl Plank and Ged Marchertas. Cliff initially worked as a plumber with the family business, Van Natta Plumbing and Heating, in Platteville. In 1962, he joined the staff at UW-Platteville in plumbing and later became the Maintenance and Craftsman Manager until his retirement in 1989. Cliff was a member of St. Mary’s Catholic Church in Platteville where he volunteered tirelessly serving on church committees and maintaining the church and school buildings. He was an active member of the Knights of Columbus and was a Fourth Degree Grand Knight. He belonged to American Legion Post 42. Cliff played fast pitch softball for several years and loved pitching horseshoes. He was a founding member of the Platteville Horseshoe Pitchers Association. He was an avid Pioneer, Badger, Packers, and Brewers fan. Cliff enjoyed working in his yard, doing household improvement projects, reading, and listening to music. Cliff was blessed with wonderful, caring neighbors and friends over the years. The family wishes to thank Sue Shafer who lovingly cared for him at home over the past four years, the staff at Epione Pavilion in Cuba City and Hospice of Dubuque for their compassionate care. Cliff is remembered as a wonderful, loving father and grandfather, a witty, charming gentleman, and a gracious, faithful man. His kindness, perseverance, and positive attitude set an example by which we all can live. Glen VanNatta was born circa 1930 at Wisconsin. Everett May was born circa 1908 at Wisconsin. He married Irene G. Harms, daughter of Dennis Herman Harms and Elizabeth Ann Dolphin, circa 1936. Name Variation Ambrose F. Rupp was also known as Andrew. 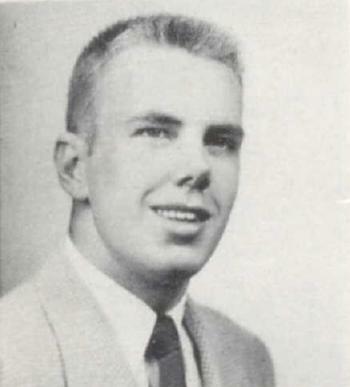 Ambrose F. Rupp was born circa 1931 at Wisconsin. He was the son of Peter Bernard Rupp Jr. and Odelia Antonette Wiest. Ambrose F. Rupp married Shirley Carole Watters, daughter of Jerry G. Watters and Olive (? 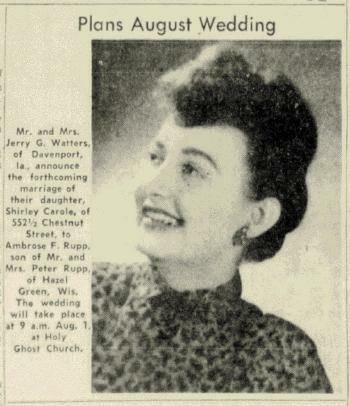 ), on 1 August 1953 at Holy Ghost Church, Grant, Wisconsin, Shirley Carole Watters and Ambrose F Rupp engagement and marriage announcements. In November 1964 at Hazel Green, Grant, Wisconsin, held Ambrose Rupp and Mrs O'Della Rupp Estate Sale. Name Variation Arthur G. Pittelkow was also known as A. G.
Arthur G. Pittelkow married Lydia Geffert, daughter of Johann Heinrich Geffert and Marie Dorothea Henriette Dargel. Robert Crooks Adams was born on 3 November 1859 at Waynesboro, Pennsylvania. He was the son of William Adams and Elizabeth Campbell Crooks. Robert Crooks Adams married Marie Louise Lambe on 21 September 1881 at DuPage, Illinois. Robert Crooks Adams died on 1 May 1930 at Wheaton, DuPage, Illinois, at age 70. He was buried after 1 May 1930 at Wheaton Cemetery, Wheaton, DuPage, Illinois. [S245] U.S. Federal Census 1900 U.S. Federal Census, by Ancestry.com, Year: 1900; Census Place: Milton, Dupage, Illinois; Roll: 298; Page: 13B; Enumeration District: 0032; FHL microfilm: 1240298. [S244] U.S. Federal Census 1910 U.S. Federal Census, by Ancestry.com, Year: 1910; Census Place: Wheaton Ward 3, DuPage, Illinois; Roll: T624_285; Page: 3B; Enumeration District: 0009; Image: 1171; FHL microfilm: 1374298. [S243] U.S. Federal Census 1920 U.S. Federal Census, by Ancestry.com, Year: 1920; Census Place: Wheaton Ward 2, DuPage, Illinois; Roll: T625_366; Page: 5A; Enumeration District: 19; Image: 251. [S250] U.S. Federal Census 1930 U.S. Federal Census, by Ancestry.com, Year: 1930; Census Place: Milton, DuPage, Illinois; Roll: 511; Page: 5A; Enumeration District: 54; Image: 1041.0; FHL microfilm: 2340246.